I spent the day in Orlando but not at DisneyWorld. I joined a couple thousand teachers at ACTFL Convention & World Languages Expo. It’s a pretty diverse group, but they gathered around the shared vision of global competence and fluency in several world languages for all young people. A few weeks ago we published The Next Generation of World Language Learning, a paper sponsored by Rosetta Stone and co-authored with Moss Pike, the Middle School Dean of Faculty at the Harvard-Westlake School and a regional leader in Greek and Latin linguistics and pedagogy. Cool tools. Like Moss, the world language teachers I met at ACTFL use a variety of new tools to engage students and personalize learning. About a third of the teachers I surveyed use Google docs for collaborative writing, peer review, and presentations. About the same number conduct vocab quizzes on Quizlet and other online flashcard tools. About a fifth ask students to use Google Voice (or equivalent) to record oral assignments. 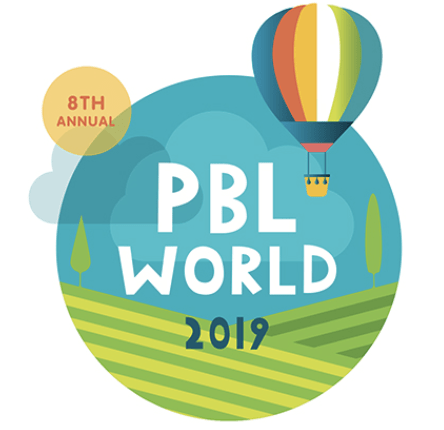 A large percentage of teachers used presentation tools including PowerPoint and Keynote, or web-based tools such as Prezi, Storybird and Glogster. A handful of teachers ask students to record and edit videos. (For a recap of all the tools that Moss and his colleagues use see Flipped Foreign Language). Other cool stuff. Pearson’s digital Spanish offering Realidades embeds a lot of the features described above: voice over text, video demonstrations, uploadable content, quizzes, and oral response recordings. The folks from ReLANpro are marketing their free+premium digital solution as BYOLL: Bring Your Own Language Lab (featured image). And because so much quality content is free, WeSpeke is providing free access to their Skype-meets-Match.com language learning site with advertising support. Middlebury Interactive (profiled in September) featured their interactive immersive environment. With online and blended learning, all students should have K-12 access to world language learning–and it should be an expectation not an exception. Flex model secondary schools–an online school featuring onsite supports–are a great way to offer a global studies academy where students are immersed on international studies and gain exposure to multiple languages. I mentioned KM Global, a suburban Milwaukee school we visited and featured in September. World language (and ELL) instruction is a great place to model a range of blended options from mostly online to augmented face-to-face. The toolset is good enough and list of model schools is long enough that all students should have K-12 access to world language learning–and it should be an expectation not an exception.